The central focus of Lady Rosaleen Swarovski headband from Aristocrat Tiaras is a flower motif created from Swarovski pearl twist beads surrounded by swirls of threaded Japanese seed beads with Swarovski crystal AB beads for extra sparkle. The central flower is complemented by pearl beads in floral patterns. 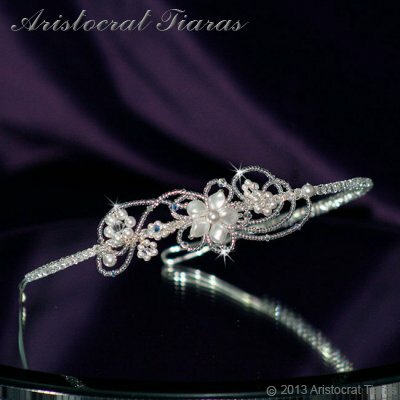 An elegant headband with a touch of sparkle for the wedding day.